This month’s blog explores the topic of duty to protect. It is not uncommon for us to receive questions on this topic from people preparing for their MFT or social work law and ethics or clinical exams. A therapist’s duty to protect is a complicated and emotionally charged issue to navigate. Most clinicians have not encountered clients who are a danger to others, which is a positive thing; however, it tends to make questions on this subject more challenging since it is an abstract concept. It is important to develop an understanding of your responsibilities with clients who are a danger to others, as you are likely to see questions on this subject appear on your exam. How could duty to protect appear on your exam? This week’s FREE law and ethics practice question tests your knowledge of your Duty to Protect. Are you prepared to correctly answer questions regarding duty to protect? Take a look at the question and find out! A therapist meets with a new client who was referred for treatment by his primary care physician. The client presents as agitated and tells the therapist that he believes the government is spying on him. He shares that he’s noticed a man standing near his apartment for the past few days and intends to confront him and make sure he knows he’s “messing with the wrong guy.” What action should the therapist initially take in this situation? Answer A is incorrect because it is not the first step we would take when a client alludes to potentially harming a reasonably identifiable person. We could refer the client to a psychiatrist, but this would not be the initial step taken by the therapist. Answer C is also not the priority based on the information presented. Similar to answer A, we would want to complete a comprehensive assessment to determine goals of treatment. However, this would take place after we assess for potential danger to others. Answer D could pull you in, since the client’s thoughts may or may not be based in reality. However, similar to answers A and C, this is not the priority. Answer B is the correct choice. The client shared information that requires further assessment to assist the therapist in deciding how to proceed. Therapists must take action under our duty to protect whenever a client presents a serious threat of physical harm to a reasonably identifiable other. 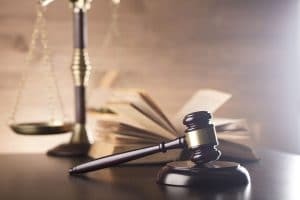 In this case, they would need to involve law enforcement and may also take reasonable action to inform the intended victim of the client’s threat. This is the first step; the actions included in the other answer choices could follow. How did you do on this question? Does this question and rationale align with your knowledge of duty to protect, or did you learn something new? If you have any additional questions, you are welcome to check in with a TDC coach. Our coaches are here to answer your questions and provide support as you get ready to PASS your law and ethics exam with confidence! If you aren’t already signed up for one of our excellent exam preparation programs, check out our customer testimonials and sign up today! Our structured, straightforward approach will provide you with exactly what you need to successfully answer questions like these and many more-correctly and with confidence. I said D, but considered B. Me too…I didn’t think we had enough information. What are the differences between Duty of Protect and Danger to Self/Other ? Please provide examples thank you. To initiate 5150 is under which one? I answered the question correctly. I believed more assessment needed to be obtained before making any phone calls to warn. If he had said he had a weapon or a plan , then I would have contacted the authorites. I didn’t get from the question that he was going to “physically” harm someone- so if the question makes the statement of “confront’ does that mean physical harm to a person? I answered correctly. I used based on the fact he had no plan and no mention of weapons and noting that nothing was previously known so an assessment would need to be done first. I answered correctly. My first thought was that I needed more information before determining level of danger. So assessing further was the best choice. I answered the question correctly, assessing for more information and deciding whether to involve law enforcement seemed the best option. I answered correctly as I thought, let me see what he means he is going to let him know he is messing with the wrong one.